Some people contract blepharitis from eyelash extensions. Blepharitis is an inflammation of the eyelid that affects the eyelashes and can impact tear production of the eye. 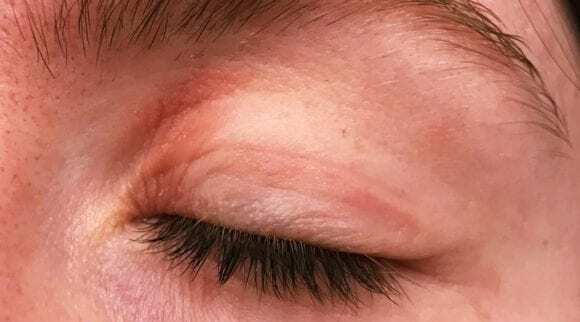 It occurs when the small oil glands of the inner eyelid become inflamed, and often occurs along with other skin conditions or allergies, as well as when people use fake eyelashes. Although eyelash extensions are not the only cause of blepharitis, it is very common to contract blepharitis from eyelash extensions. There are more than 200,000 cases of blepharitis in the US alone each year. It is classified as either acute or chronic, and the most common form is chronic adult blepharitis. Commonly, blepharitis indicates chronic eyelid inflammation. Contracting blepharitis is very serious. It’s a chronic illness and can last for years, or even be lifelong. Treatment can help, but unfortunately, this condition cannot be cured. Treatments include cleaning the eyelids, eyedrops that are either an antibiotic or steroid, and dealing with underlying conditions. However, no matter the treatment, blepharitis tends to come back. The condition requires a medical diagnosis, and lab tests or imaging may be required. Symptoms include red, itchy eyelids, and skin that may look greasy or become crusted. Dry eye is another symptom. Blepharitis also produces clumping or stickiness around the eyes. Along with dry eye, blepharitis causes an imbalance in tear production. Overall, this condition compromises ocular surface health. While there are many causes of blepharitis, one of the most common—and most preventable—causes is eyelash extensions. Many people who have small or thin natural eyelashes use extensions or fake eyelashes to give their eyes a bigger, fuller look. However, this popular fashion trend comes with a wide range of risks, the most prominent of which is blepharitis. Unfortunately, many people contract blepharitis from eyelash extensions. This is an explanation of the condition, what causes it, and what to look out for if you enjoy applying fake eyelashes or the practice is part of your makeup routine. Before delving deeper into the symptoms and treatments for blepharitis, it’s important to understand some basic key points about the condition. 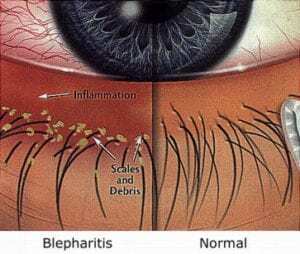 Blepharitis, as an inflammatory condition that affects the area around the base of the eyelashes, is importantly not caused only by poor hygiene. You do not have to worry that you will contract the condition if you don’t take care of your eyes. However, the underlying causes are not well understood and are the subject of further studies. If you develop redness and stickiness on your eyelids, have your eye looked at right away. 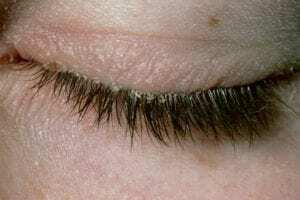 The stickiness is the most unique symptom of blepharitis, as well as the clumping of scaly skin around the base of the eyelashes. If you can see these symptoms developing or suspect that they may be occurring, it is very important to see your eye doctor. Treatments that are available for blepharitis only relieve the symptoms; they are not able to cure the condition itself, and you may have it for your entire life. Rosacea is akin to blepharitis; it is a chronic inflammatory skin condition. However, it most often affects the face rather than the eyes. It is often mistaken for allergies, acne, and eczema, and it worsens with time if left untreated. It is believed that this condition may spread to the eyes, so if you suffer from rosacea, make sure you are also seeing your eye doctor and ensuring the health of your eyes. Seborrheic dermatitis is a common skin condition that affects your scalp. It causes scaly patches, red skin, and dandruff. This condition may travel and spread into your eyes, and dandruff is a leading cause for blepharitis. As with rosacea, if you have this condition, make sure you are seeing your eye doctor and keeping them up to date with your health concerns. If you have dandruff in your hair, beware. People who have dandruff are more likely to develop blepharitis. Keeping the dandruff under control can help reduce your likelihood of contracting the condition. If you take care to ensure that the dandruff does not land in or spread to your eyelashes, you will reduce the risk of irritation and inflammation due to dandruff. The Meibomian glands are the glands that are along the rim of the eyelids. They produce an oily substance that prevents the eyes’ film of tears from evaporating. Dysfunction of these glands is a leading cause for dry eye, and it may play a part in the development of blepharitis as well. Some doctors, however, believe that it is the other way around and that blepharitis is actually a precursor for Meibomian gland dysfunction. 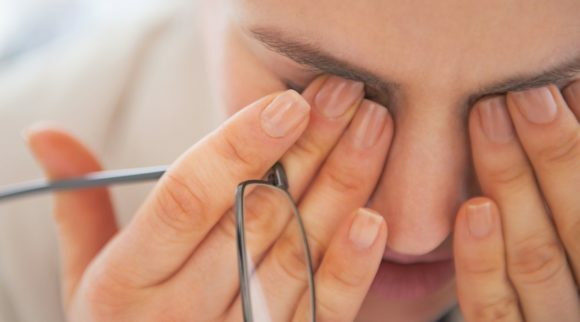 Unfortunately, the symptoms of blepharitis are similar to many of the symptoms of other conditions that impact the eye, including allergies and dry eye. Redness and the feeling of a foreign object within the eye commonly occur. 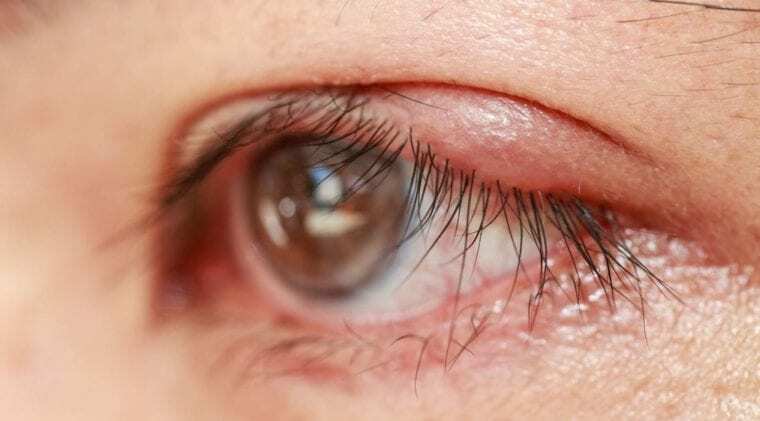 If you have flaking or crusting and your symptoms seem concentrated especially around your lower eyelid, these are the best indications that you may have blepharitis specifically. The symptoms of blepharitis also tend to come and go with periods of remission, or a pause in symptoms, followed by exacerbations. Take note of when your symptoms tend to occur and whether they come and go. Blepharitis also tends to affect both eyes equally. When you go to your eye doctor to talk about blepharitis and to test whether you have the condition, your doctor will evaluate your symptoms, take a medical history, and examine your eyelids and eyes. They will be able to tell you if you do indeed have the condition, and what your next steps will be. Often, eye doctors perform a slit-lamp examination where they utilize a slit lamp microscope to determine the specific type of blepharitis and how it is affecting your eyes. A slit lamp is a microscope that is specially developed and has an intense thin-beam light source. It allows your doctor to look at the outside of your eyes and eyelids while your head is held steady as you rest your chin and forehead against supports. After the examination, your doctor will the recommend treatment. Treatments will depend on the cause and on the severity of your symptoms. Treatment for this condition range from medical ones that your eye doctor can carry out to home treatments that you can perform yourself. Doctors will typically recommend home treatments at first; however they will also have the ability to perform medical treatments for you. This is where all blepharitis treatment should start. With a great eyelid hygiene regimen. Hypochlorous acid spray is safe to use with eyelash extensions and without as it will not effect the glue used. This simple formula is sprayed on and left on. Check price and reviews on Amazon by clicking here. Artificial tears or unmedicated eye drops are available without a prescription. They will help counter the dryness of the eyes that is caused by blepharitis during the day. They are available over the counter and online, but check with your eye doctor to make sure they are suitable before purchase. Artificial tears that don’t contain any preservatives are often the best kind to use. 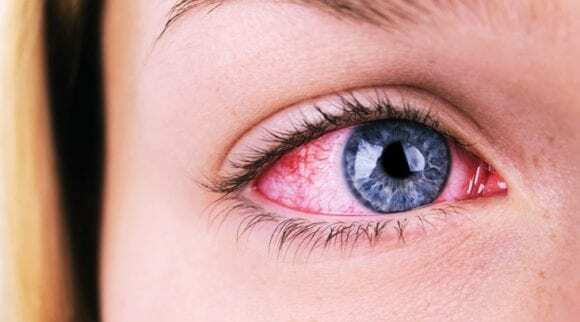 Various studies have shown that hydrating the ocular surface with tear supplementation can aid in inflammatory effects, especially ones that impact the function of the Meibomian glands. Tear supplements that include lipids, in particular, help to bolster the deficient tear film. Check out our recommended artificial tear by clicking here. Intense Pulse Light Therapy is a type of therapy that is commonly used to treat wrinkles, spots, and unwanted hair on the skin. Traditionally used for dermatological conditions, IPL has recently been used to treat certain eye conditions. If you receive this treatment for your blepharitis, IPL may help clogged eyelid glands flow more efficiently and produce better oils. This treatment pinpoints and helps alleviate the major cause of the condition. Also known as Lipiflow, this treatment melts any material that may be obstructing the Meibomian glands. Lipiflow is an innovative and FDA-approved procedure that treats the root cause of evaporative dry eye. Since the root cause of dry eye is blocked or deteriorated Meibomian glands, this treatment may also have a positive effect on blepharitis as well. Opening these blocked glands allows them to resume a natural production of lipids, which are essential for a healthy tear film. Thermal Pulsation Treatment works by applying controlled heat and adaptive pressure to the inner and outer eyelid. Although it sounds a little intimidating, the treatment is safe. Sometimes, severe cases of blepharitis may require antibiotics, either oral or topical. Oral antibiotics treat infection, and penicillin is the most well-known oral antibiotic. However, it is doxycycline that is often used for blepharitis. Topical antibiotics are used externally to treat skin infections. Additionally, topical steroids are effective in breaking the inflammatory cycle. Topical antibiotics may be effective in modifying the course of the condition. Self-care and what you can do for yourself at home as you continue on with your daily life are the most important elements of blepharitis treatment. It is also important for eye and eyelid health in general. Heat the mask in the microwave for 15-20 seconds and test the temperature before use. Lie back and place the mask over your eyes for 15-20 minutes. Enjoy the relief and cleanse your eyelids afterward. 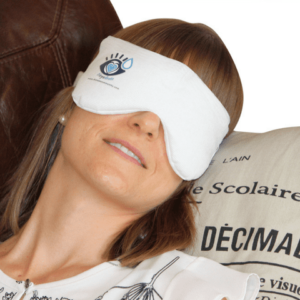 Warm compresses are especially effective because they both melt the thick wax in the Meibomian glands and loosen any debris that may be leftover on the eyelid margin and eyelashes. 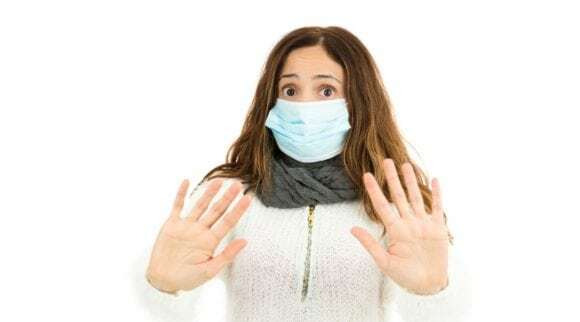 Compresses can be anything from a sock full of uncooked rice to a boiled egg wrapped in a warm washcloth, but a dry eye mask is going to be most effective. Warming eye masks are popular and may achieve what you desire because they are much more convenient than using a warm wash cloth. To cleanse your eyelids, gently spray your closed eyelids with a hypochlorous acid solution. This Heyedrate spray is easy to use, as you only need to spray it on and rub it in. You can also use a cotton ball or round for application, but this is unnecessary. There’s also no need to rinse the solution off! Cleansing the eyelids should be incorporated into a self-care regimen twice a day. It’s a considerable commitment, but it can help prevent blepharitis and may help alleviate the symptoms if you develop the condition. After you use a warm compress, massaging may help the glands leak out and express their oily contents, which helps your eyes produce tears and maintain the film that is so needed to protect them. With a finger or cotton-tipped swab, you can massage the margin of the eyelid where the eyelashes and glands are. Use small, circular motions, and it is best to perform this task after a warm compress mask is used. Sometimes, the biggest fashion trends can be detrimental to your health. Trends such as high heels, skin-tight jeans, and false eyelashes may look good, but also carry negative impacts. Eyelash extensions are popular on the runway and red carpet as a means to make people’s eyes look wider and bigger. A google search for the term brings up breathless pictures and ads. Even the Kardashians are selling their own brand of fake eyelashes. Eyelash extensions may look pretty, but people need to take care as they use them and ensure that they are safe. The risks of fake eyelashes include allergic reactions to the glue that is used to attach the extensions and erosion of the inner surface of the eyelid, which causes permanent damage. The fashion trend is also one of the leading causes of blepharitis. Eyelash extensions trap dirt and bacteria and hold these close to your eye, something that your normal lashes naturally protect against. Serious infections that may occur include conjunctivitis in addition to dry eyes. Many glues also contain formaldehyde, which can cause severe allergic reactions that over time result in oozing and crusting along the eyelid. Formaldehyde is also a known carcinogen. An especially concerning risk with fake eyelashes is the potential to lose all of your natural and normal lashes. There is a possibility that you may end up with no eyelashes at all; irritation can lead to a condition called madarosis, and you could also end up with traction alopecia, where the lashes fall out due to excessive tension. Pulling and tension on the lashes causes damage to the hair follicles, and this is what ceases production of new hair. 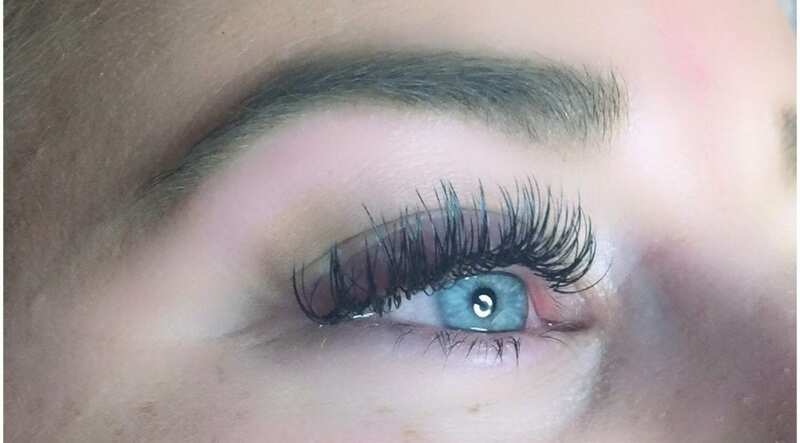 The best and easiest way to avoid the dangers of fake eyelashes and to prevent the risk of infection or irritation is to simply avoid getting eyelash extensions. BUT we know that you have made the decision to get some anyway. Just make sure you are cleaning them at LEAST twice daily with a hypochlorous acid lid and lash cleanser like Heyedrate Lid and Lash Cleanser. Check price and purchase on Amazon by clicking here. Mascara remains the best way to achieve thicker and fuller lashes in a safe manner. It can be difficult if you feel your normal lashes are too small or thin, but it is better than the alternative permanent damage to your eyes. Make sure the aesthetician who is completing your extensions has valid certification and sanitary equipment. Make sure your aesthetician is also practicing good hygiene. This includes washing their hands often and wearing gloves. Ask to see the ingredient list for the adhesive that will be used to glue the fake lashes to your eyelids. Check for potential allergens and carcinogens such as formaldehyde. If you do notice signs of infection, see an eye doctor as soon as you possibly can. The FDA also has an extensive list of safety tips for a range of beauty treatments that includes eyelash extensions as well as mascara, eye shadow, and other cosmetics that involve the eyelids or eye area. Eyelash dye and growth formulas are other common trends that come with a multitude of health risks. 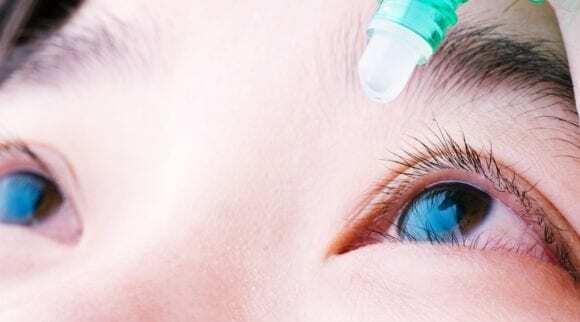 Currently, there are no color additives that have been approved by the US Food and Drug Administration for dyeing or tinting eyelashes, and dyes that are currently available can cause blindness. Eye adornments involve gluing tiny crystals or glass beads to the eyelash, or attaching small charms to wires that are affixed to the eyelid. These pose the same risks as extensions when it comes to irritation and inflammation. They also have the added hazard of a sharp object placed close to the eye. Bottom line: any change to the eye, whether for fashion interests or otherwise, comes with many risks and side effects. Make sure you complete extensive research before you decide whether any of these are worth it for yourself. The eyelid is vital to our sight. An essential aspect to our eyes, it helps spread tears along the eyeball, protects the cornea, and helps prevent infection and scarring. 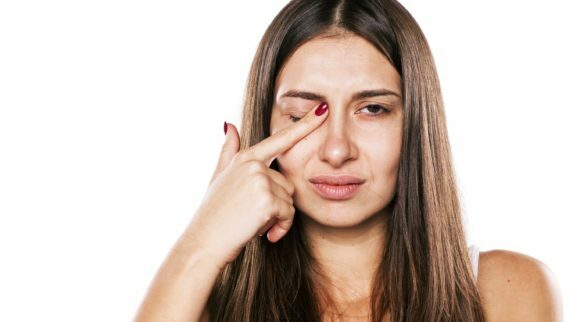 A chronic condition such as blepharitis compromises the functionality of the eyelid and leads to pain, swelling, and dry eyes. Mascara, eye shadow, eyeliner, and eyelash extensions all contribute to the buildup of bacteria both in and around the eyes. Eye makeup also has a tendency to dry out both the eyes and the eyelids, which lends to the perfect environment for blepharitis to occur. If you would like to decrease your risk of contracting chronic conditions, avoid eye makeup, and if you love eyeliner or mascara, make sure that you thoroughly wash your face and eyes at the end of every day. This is the best way to prevent infection. If you are going to wear eye makeup, make sure you are removing ALL of it at night before bed with an tea tree oil based eye makeup remover. Many eye products, such as mascara and eye shadow should actually be thrown out three to six months after they are purchased. Wands, sponges, and anything that comes into contact with the bacteria-ridden eye area are carriers for further infection. Continuously throwing old products out should be a regular practice of your eye care routine, especially if you have blepharitis. If you contract blepharitis, you should wear contact lenses with caution, as they may worsen the condition and cause you further pain. Although it may not be your first choice, you will have to wear your glasses for the duration of your condition. Contacts irritate the eye, cause painful itching, and slow the healing process; switching to glasses is the only way to ensure that your eyes will properly heal. Anyone who has moderate to severe blepharitis should avoid getting eyelash extensions. Extensions may also cause the condition. If you are interested in taking care of your eyes over the long term, it is recommended that you avoid fake eyelashes in the first place. People who use lash extensions regularly need to ensure that they clean their lashes and eye area regularly. If any symptoms appear that are remotely concerning, contact your eye doctor right away. Regularly cleaning your eyelids will help prevent blepharitis from developing in the first place and prevent it from occurring again or worsening. 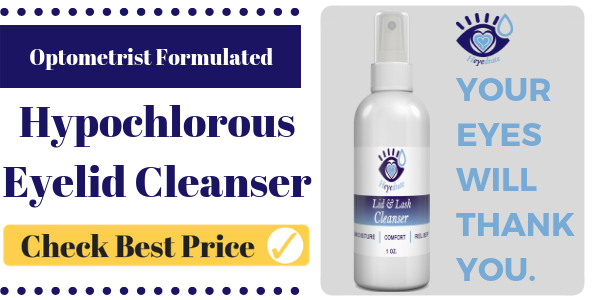 There are hypochlorous acid cleansers available that are perfect for cleaning lash extensions because they contain no alcohol or oil. 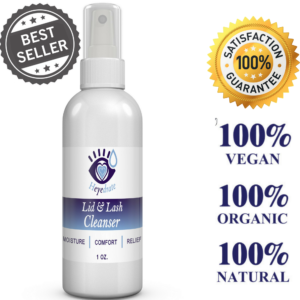 Some salons and businesses that sell lashes will have bottles of cleansing solution available as well. Once you wipe off all of your makeup, especially around the eye area, place a warm and wet washcloth over your face in order to ease irritation and inflammation. This will also soften the skin. Once the washcloth has cooled, you may repeat the process or purchase a warm compress eye mask that makes the process even easier. Blepharitis is a chronic condition that involves the inflammation of the eyelid margins. It also impacts the ability of the Meibomian glands to produce sufficient tears for the eye surface. It is very common, and there are multiple causes that are still being studied. However, blepharitis from eyelash extensions is one of the leading causes, and fake eyelashes may be very dangerous anyways. If you are concerned about contracting this condition, change out your eye makeup products often, cleanse and massage your eyelids, and avoid extensions. If you do contract blepharitis, there are a multitude of treatments available including home remedies and medical treatments. Although the condition is chronic and may be life-lasting, there are ways to alleviate symptoms and to prevent it in the first place. Proper and consistent eyelid hygiene with a hypochlorous acid eyelid cleanser is critical for people who are suffering from this condition. Whether you wear false eyelashes or not, it is important that you take care of your eyes.